AGAPE WATERS specializes in the installation of Energy Efficient Tankless Water Heaters, Whole House Water Filtration & Conditioning Systems, Whole House and Tankless Water Heater De-scaling Filters, Reverse Osmosis Water Filters and Energy Efficient Hot Water Recirculation Pumps. Freddie Salas was quick to answer my emergency call and came right over to fix the leak. His pricing is really fair. I have had Agape Waters Plumbing do other work on my house about 2 years ago and will continue to use them. If i ever need a plumber again will definitely call Freddie. 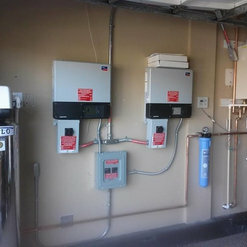 Agape Waters installed two tankless water heaters at my home in the last year. Freddie is honest, really cares and will not leave until he knows you are completely satisfied. I highly recommend him. We hired Freddie from Agape Waters and are very satisfied customers. He installed a water heater and a whole house water treatment. Freddie was very informative, punctual, clean, and was true to his word. He thoroughly explained to us how he was going to repair, replace and install the plumbing involved. He gave us a fair bid and was always in contact with us. We did like most people, located Freddie through reviews such as this, and took noticed of his 5 star ratings and written reviews. We highly recommend Freddie, Agape Waters Plumbing, and will be looking forward to having them take care of our plumbing needs. 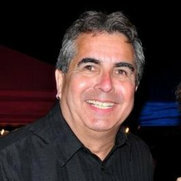 I hired Freddie (Agape Waters) to install a Tankless Water Heater in my house in Upland. I was very happy with the results. He was very professional, knowledgeable, and reasonably priced. He also helped me repair some faucets inside the house, and install some new sprinkler valves in the garden. he appears to be well rounded and experienced. I recommended him already to my friends.